it seems a year of limited choices… the “lesser of the evils” is an understatement… and they are evil… not final solution evil… but bad enough to send the founding fathers spinning in their graves… how do we choose the lesser of these evils? how do we produce a good result with nothing but bad choices? Zorba is right… chose the one who’s blunders… systemic damage and corrupt practices are most easily reversible… hope for better days… and say a quiet prayer… it couldn’t hurt………..
For all my disdain, I still think that Trump’s mistakes are more reversible. As I explained in other posts, we did eventually abolish tariffs and we did eventually pull out of Iraq since Iraquis don’t vote here, but try to undo a social program for voters! But, but, Hillary! is uniquely evil, and must be stopped at all costs! Just like Barack Obama and John Kerry were! 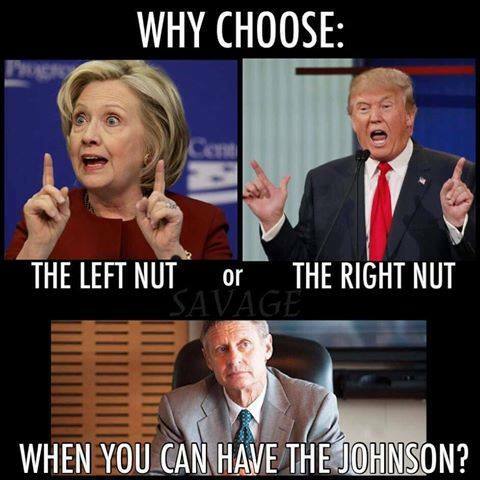 He’s supporting Gary Johnson. And so am I. With both major candidates this bad, AND an astronomically small chance that your vote will decide the election anyway, why choose either evil? Right, right, right. Everyone agrees with all of that. 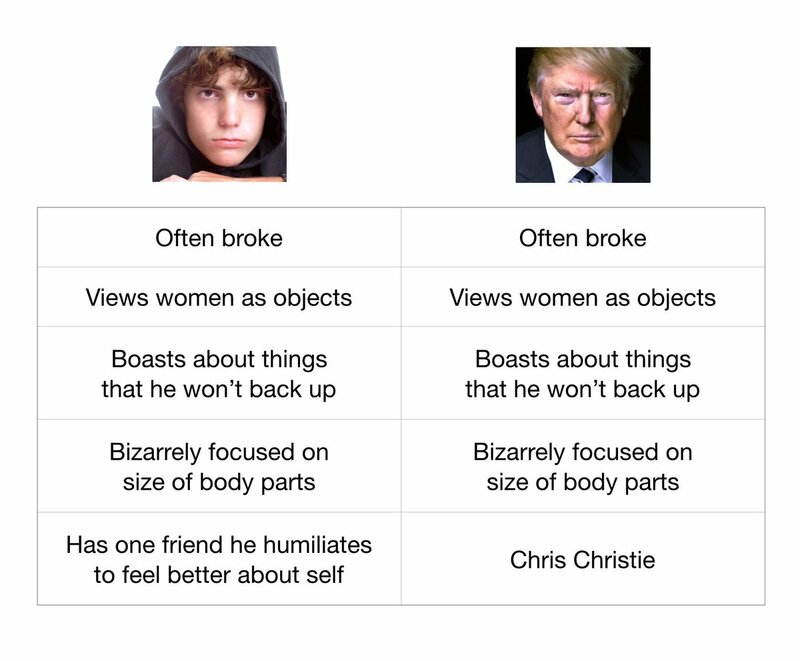 Criticizing is easy (especially these two candidates!) Going out on a limb with a decision takes more guts. Reality is messy and we have to make a choice. …So which candidate would do more damage? Who would you support?